london | Bustling along bookshelves . . . Step one: collar the one in the top hat – he knows where the food is. Step two : Walk, don’t run (see above). Oh yes. The ball thing. Roll it about, kick it, balance it – keeps the punters happy. And the old trick with the plate thingy. Well, I would quite like to think of Jumbo and his counterparts engaged in such ruminations while balancing balls and tossing plates (or was it vice-versa?) before being led off for a well-deserved pile of buns. Elephants joined the circus relatively early in its evolution; the cavalcade of horses under the aegis of Mr (Sergeant-Major)Astley evolved in the late 18th century, and was quickly embellished with exoticism: as early as 1812 the first trained elephant performed at Cirque Olympique in Paris. This in turn set off the winning combination of circus and wild animals, most notably developed in Germany by the Hagenbecks, the world’s foremost importers and dealers of exotic animals. The sheer logistics of transport quickly take on mind-boggling proportions in the 19th century, when the travelling circus became big business. Whole trainloads of performers both human and not travelled the length and breadth of Europe, some of them jumping aboard a passing steamship to America along the way – when Barnum’s came to London’s Olympia in 1889 their entourage comprised 450 performers, 300 horses and 21 elephants. The amount of hay alone required must have been astronomical. A field. An ordinary, uncultivated field. Nothing untoward about it. A path running diagonally across, and a ditch running alongside. A handy pool in the middle distance, a tree or two, some wild flowers. And an elephant. The elephant was not alone. She had wandered across to inspect the taller of the two trees tentatively with her trunk. A man with a canvas bag slung across one shoulder sauntered up beside her. ‘Come along now, old girl, you don’t want those, do you—look what I have here…’ And so saying he delved into the canvas bag and drew out some bread. This was quickly disposed of by the wandering proboscis. A muted trundling in the distance grew gradually as a series of brightly coloured caravans grumbled across the ground; there was the occasional bark from the three dogs gambolling about, the chatter and clanking of pots and pans, swinging from their hooks in constant confabulation, a murmur of voices both within and without as the troupe dispersed, picking out their spots with the practised eye of a proprietor lately established in his new home. Each had its own identity: the fortune teller’s caravan had a huge white circle painted on the side, on blue sky with stars across which was emblazoned ‘L’Oeil Voyant’. Another, decorated with a mage in star-bespeckled robe spreading out his arms against a panoply of curtains, playing cards and tripods, heralded the coming of the Great Doctor Miraculous. A third, modest in comparison, yet of content explosive enough to outdo them all, featured a small man sailing across a night-sky, with below him the mouth of a magnificent cannon pointing diagonally up. And if the viewer were still in any doubt as to its significance, the whole was topped off by large, clear lettering that declared the occupant to be the one and only Human Cannonball: Blazer, A Marvel of the Modern World. And so on: the clowns sported balls and hoops, the balancing act plates and cups teetering on poles and trays, and most imposing of all, the ringmaster’s own domicile, with both sides adorned with top hats, plumed horses in mid-leap and a whole collection of colourful performers, with the magnificent emblem ‘Roly Tadger’s Remarkable Circus of Oddities’ running in cheerful colours across. A modest king this, who, rather than take centre stage, chose to set his abode in the wings so to speak (in the shade of the trees), at a slight distance from the rest. A tall man in a chimney pipe hat stepped out and wandered amongst his citizens, checking on this, minding that. Water was fetched from the pool, a clearing made for a fire, and food prepared. The elephant keeper wandered off, munching on an apple, sizing up the surrounding area. He ambled about, stretching occasionally, squinting up at a wintry sun, meandering along until he ended up near the ditch. The elephant, her curiosity regarding the trees now sated, drifted in his direction. Absently, her keeper fished another bread roll from his bag and handed it to her over his shoulder. His gaze focussed on a clump of grass overhanging the ditch. ‘Did you hear something, Milly?’ he enquired. Milly responded with a furtive rummage in his bag. He stepped forward, and peered over to look at the ditch more carefully. He had not been mistaken. Another groan, as if in confirmation, came up from the sorry individual lying there. ‘Dear, dear. Footpads, no doubt. No good travelling alone in these parts: you wait there,’ murmured the keeper, as if the unfortunate man in the ditch were chafing to be off; the keeper turned and cupping his hands to his mouth let out a hearty ‘hallooo’ to his companions. Instantly doors opened, feet clattered down caravan steps and an assortment of oddities both human and otherwise spilled across the field. One of them, in elegant coat and moleskin hat, with the air of a medical man, knelt in the ditch and checked the insensible body for breaks. A decision was reached, a stretcher made up from coat and boom handles, and the unconscious man was lifted and carried back to one of the caravans. By general consensus, they put him in the caravan belonging to the Human Cannonball, he having the least cluttered of all. Day passed into evening, evening into dawn, and come the morning the caravanserai set off again. From time to time they paused along the way: the tall man in a chimney-pipe of a hat would leap up and down steps, knocking on the door of the Human Cannonball to see how the patient was doing. By the time Roly Tadger’s troupe is travelling the counties in the 1880s, the wildlife element of his ‘circus’ is reduced to a few horses, Milly the elephant and some performing dogs. By the late Victorian period, the trapeze artist and acrobat had come into their own, fuelling a re-discovered interest in athletics which led to the Olympics of 1896. Roly Tadger is relying more and more on human performers (and probably his drinking has made it inadvisable to keep big cats on the programme anyway). When invited by her publisher to assist a well-respected M.P. write his memoirs, Julia Warren is at first reluctant to concentrate on anything other than her next novel; however, circumstances(involving among other things unexpected plumbing) conspire to change her mind and she finds herself at once guest and employee at the great man’s rather bohemian household. It’s been rather crowded recently – people, theatre, words, more people, more theatre, more words – on paper, in the air, in that dusty attic posing as my brain. Characters that had previously inhabited the relative comfort of notebooks, sleeping between the pages, are at present being made ready to be brought to life. Dusting off their wigs, hats and coats; now a little fard, a little rouge and powder; polish those shoe buckles, and they are standing in the wings, ready to leap out into the spotlight. Nothing huge, mind, in the way of actual stage-work; just a little conversation here and there – only with unexpected results. It has been an ongoing creative process, with more to come: something else I had previously written to no end has now been taken on board by another set of creatives who are actually enthusiastic to bring it to life; and all of this happening all at the same time. A little whirlwind made up of other people’s imagination, energy and perception is making its way across the pages; words, lines, dialogues, whole scenes have life breathed into them, and the transition from paper to that unreal reality of theatre is made, almost without you realising it. The magic has begun – thought processes start to whir, kickstarting a series of added details, gestures, inflections and more; some of these will be kept, others discarded, there is a constant moulding and re-modelling until the piece of art that is an imaginary character stands up on stage and takes command of itself. The bubbly enthusiasm and creative energy brought to the rehearsal space by the actors themselves speeds up that process. Watching someone take on board your ideas, thoughts, words and characters and invest their energy, creative, physical and even psychic, in something you have written could be a challenging experience – horror stories abound of writers turned homicidal after the perceived mangling of their work by negligible directors and/or actors; so far I can only say how pleasurable it has been, and how curious I remain to see what happens next, how those same characters will develop on stage. It is all part of the huge ongoing creative process called acting – and when you are fortunate enough to find those who can jump in, focussed, and pick up the shreds and patches we offer them, it is a magical thing indeed. It takes a particular kind of humility to submerge one’s own ego in another’s; it is what drives many very fine actors (whom we may never actually see on the big screen), and a quality which makes such actors very special people indeed. Arsenic and Old Lace meets George Orwell in this dystopian comedy noire; admittedly, we are missing mad uncle Teddy and murderous brother Jonathan with his creepy alcoholic surgeon Dr Einstein – still, the spirit is there and continues unabated throughout, almost as madcap and surreal, threaded through with a social consciousness of how close humanity can trip over the edge in the hands of … bureaucracy. And not just any bureaucracy. Orwell was disturbingly prophetic in many ways, and the one conjured up in Adams’ play has already spiralled out of control, making gods and demons out of the characters that live it: farce, blackmail and something nasty in the woodshed combine to make this a pleasantly chilling and surreal mystery. It is the Future. Arguably, a not too distant one, with thinly disguised policies of the present done up as a meritocratic system: those who can still pass ‘Utility’ tests (to prove they are functioning, ‘useful’ human beings) keep Green or Amber Permits and are permitted to live while those who don’t…are not. A lethal injection of air is promptly administered to those considered ‘useless’. Enter Norma in her reclining armchair (which Joy her cohort is not allowed to sit in for fear of spoiling the warranty), getting by on a forged Amber Permit and a spider’s web of intrigue and blackmail. She is waiting for neighbour Helen (fighting fit on Amber) to finish the crossword before the 5 o’clock post – it might almost be the beginning of an Agatha Christie. The fun has only just begun however: the usual Utility Inspector (or Exterminator, depending on how you look at it) who so far has been able to help cover up for her, as been replaced (the term redundancy taking on a whole new sinister meaning here) and the new one is shortly expected on the estate where Norma lives. Enter the new Utility Inspector: go-getting, zero-hours contracted Noah, who is keen, enthusiastic and under a lot of pressure to give his daughter Maya a ‘Fun’ day so she can pass her birthday test tomorrow, or else risk becoming a mere Comfort Girl. Enter Maya. Maya has a pink balloon. Maya loves her pink balloon. Maya wants to have fun. Maya is nearly 18 and challenged – and continues to be so: first by Daddy, who has to go off and ‘assess’ the inhabitants of the estate (‘Stay in the van, Maya,’ which she doesn’t), next by losing her balloon, and then by getting lost. She is found by Joy (out on an errand) – and discovery of her father’s important position as Utility Inspector can mean only one thing: Joy takes Maya back to Norma’s house. Now the plot begins to thicken. Maya is both deliverance and tumbling block to the ladies’ conspiracy – the question is, who will come out top? The dystopia unfolds piece by piece against Norma’s web of deception and secrets, a web that stops at nothing in the business of survival. There are enthusiastic and sympathetic performances from al the cast,and excellent character acting: Marlene Sidaway as Norma is the jewel in the crown – on stage from start to finish, spewing intelligent cunning and indomitable spirit in equal measure, she is a force to be reckoned with. 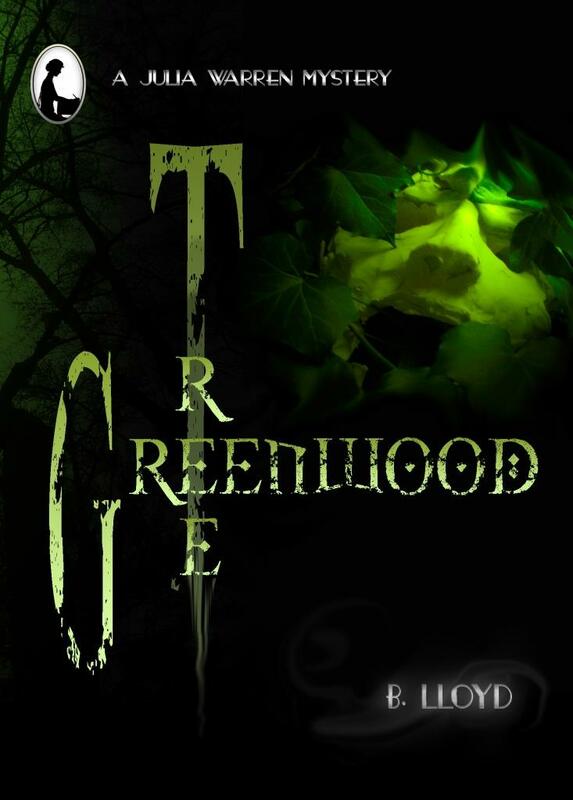 Ultimately this is a play about secrets, survival and what actually makes murderers of us all. It will also bring laughter even to the jaded theatre-goer weary of contemporary themes. Just don’t eat the sandwiches. You’ll wish you hadn’t. The Rapid Write Response (on Sunday and Monday) offered variety and invention in reply to Animals – all held together with the common theme of horror, each ten-minute sketch holding at least a pinch of it in the palm of its text: survivalism, the evaluation of life (human and animal), murder and its definition, even Maya’s Pink Balloon turned up in Pop! and offered the exuberant message of seizing the moment and letting things go – there were also themes of memories and coping with them, the sub-culture and influence of reality TV, and dystopian futures. 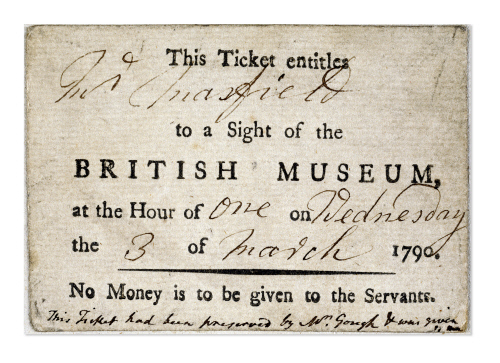 Here’s a nice little curio I came across Retronaut the other day: a ticket issued by the British Museum in 1790 to one (*squints *) Mr Masefield (? 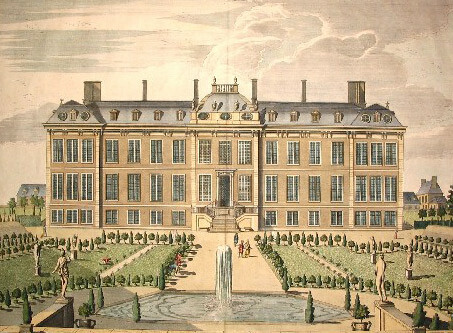 ), who was allowed entrance as one of five or six visitors for a genteel amble around Montagu House, one ‘fair’ day in March (according the Meterological Table in Gentleman’s Magazine, with temperatures of 56° Fahrenheit at noon).And after admiring Sir Sloane’s admirable collection of books, prints and natural specimens,did Mr Masefield then wander out for a stroll in the neatly laid out gardens ? It is quite a view, with a fountain at the end of the walk, and close on 600 species of plants growing there. The gardens had had a chequered history, the house having been abandoned in the 1740s; however, when it was purchased as the first home of the Museum, they were restored by the Trustees’ hired gardener Mr Bramley, and became a popular visitors’ spot in their own right. I wonder if the Warrens might have popped in on an occasional visit down to London. I should think Robert did when he was not at Temple Bar or ‘Varsity. That and the Pump Rooms at Bath were on the Social Calendar for those wishing to be thought well of as Eucated Gentlefolk. Just been trying to look up servants’ wages for the 1890s (something for the next Julia Warren mystery I am trying to finish); must say, it is a blessing to be able to consult books online – even if they are only excerpts, for I have little or no access to reference books at present otherwise. The findings are intriguing – rather higher than I had expected (although now comes the tricky part – dividing the yearly salary into weekly parts… and I haven’t calculated all the different levels yet) – oh look, a handy little online calculator as well. So that means… muzzerwuzzerwizzerwozzer (and other suitable mathematizing sounds) a butler could be receiving the princely amount of one pound something a week(his expenses would be at most clothes, for board and lodging was all included). 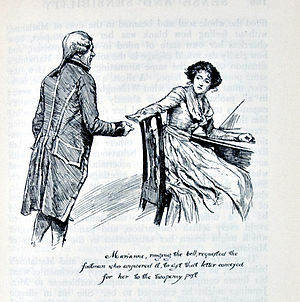 Now let’s take a footman – an ordinary one, who opens doors and runs about after people as opposed to the six-footer who stands about looking magnificent. Our ordinary footman then, would find in his pocket, a little less than a quarter of the butler’s pound…again, board and lodging is included. There’s usually wine to be had, and by 1890s, a week’s holiday allotted per annum. Moving down a bit further … the Tweeney, or between maid,nearly the lowest of the lower Five, yet still above the scullery maid, might earn between 10 to 15 pounds per annum. So if we take the minimum, that works out half again of the footman’s wage. Ten or twelve pence a month. How much was it to go to the theatre? A farthing? Tuppence? Sixpence for a half-way decent view? You’d have to save up for that… when you had the time and energy after a 5 to 10 working day; unless you went on your day off. And these were the lucky ones …. The 1890s saw thousands of Londoners homeless, sleeping in parks, on the Embankment or in the recesses of London Bridge (Frank Victor Dawes, Not in Front of the Servants, 1973). If disease and depression did not carry you off, then violent crime probably would. Receiving not only a roof over your head but clothes and food plus some pocket money might well have seemed like a blessing in comparison. And on that cheery note, I continue to add up, divide and multiply the farthings, shillings and pence – still wondering what that Tweeney might have forked out for a good night out at the theatre. I hope it was worth it. Goo bay to sum-mer, goo bay, goo baaaaay! by Thomas Burke, from A Lonely Night, 1915.